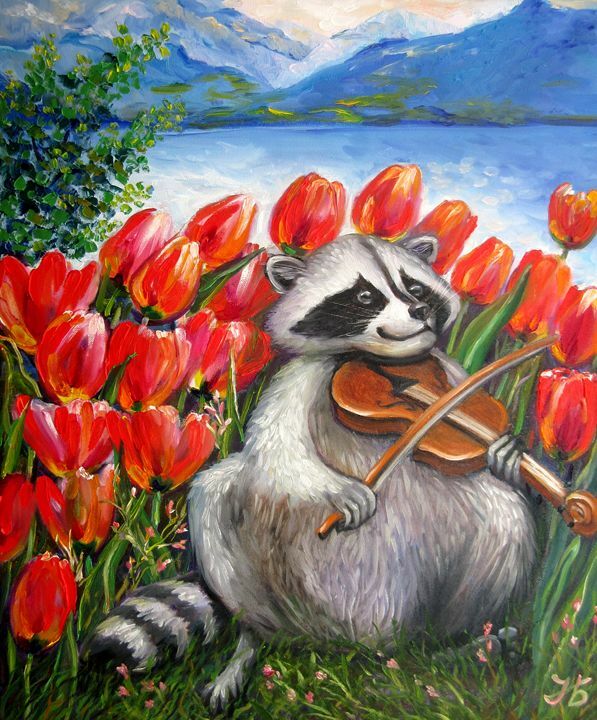 This original oil painting of lively raccoon and red tulips on a green and blue mountain landscape background is so vibrant. This is a modern, realistic animal portrait and the beautiful red spring flower painting. 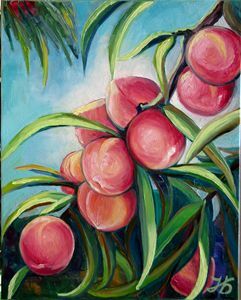 Place some art on the wall of your home, office, or restaurant to make the decor more spirited! Remember, there is always so much more details and subtle colors than a photograph can capture, so if you like it here you will love it in person.